A Christmas tree can drink 2-3 pints (1-2 litres)of water a day! To keep your tree looking healthy and reduce needle loss it is important to take care of it, just like you would a plant. 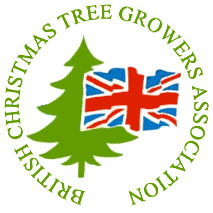 To ensure the tree is of good quality always buy the tree from a reputable grower. 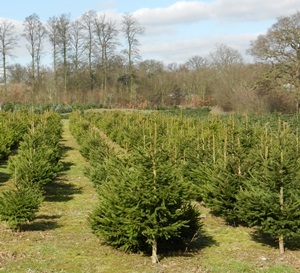 If the tree is fresh the needles will be healthy and green and when you gently run your fingers down the length of the lower branches the needles should not fall off. Keep the tree outside in a shaded area and stand it in a bucket of water before it is required inside. This will create a fresh cut and open up the pores to allow the tree to drink water. Cut trees are best kept in a water-holding stand as it allow the tree to drink water to keep them healthy and strong. Don't put cut trees in a bucket of sand or soil as this will block the pores of the tree preventing it from drinking. Try to position the tree away from any heat sources such as radiators as they will dry the tree out faster. If the water falls below the tree trunk it will prevent the tree from drinking and the pores will close up. A Christmas tree can drink 2-3 pints of water a day, so make sure you top up the water regularly.